The Ninth Annual Gala began with an inside look at the NYSCF laboratory at the NYSCF Science Fair, designed by David Rockwell. Anne & Vincent Mai, Sabrina Bertucci, and Rich Rundle were honored as 2014’s Stem Cell Heroes. Richard Parsons, Senior Advisor for Providence Equity Partners, Inc., gave the Welcome Remarks for the evening. The NYSCF Gala is a unique experience that highlights the trailblazing work of our stem cell researchers through an interactive Science Fair, showcasing the latest stem cell discoveries and technologies. Guests have an opportunity to interact with NYSCF scientists and learn firsthand about the critical research their support is funding. 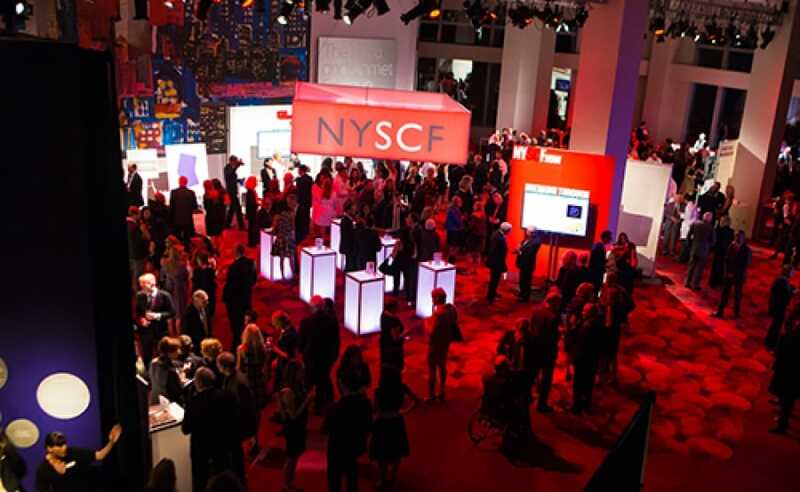 The Ninth Annual Gala began with an inside look at the NYSCF laboratory at the NYSCF Science Fair, designed by David Rockwell. Anne & Vincent Mai, Sabrina Bertucci, and Rich Rundle were honored as 2014’s Stem Cell Heroes. Richard Parsons, Senior Advisor for Providence Equity Partners, Inc., gave the Welcome Remarks for the evening. Since 2005, NYSCF has used private funds to advance the most cutting-edge stem cell research and has a proven track record of identifying, initiating and funding critical “tipping point” experiments in its state-of-the-art laboratory, and through collaborations with leading scientists around the world, all to bring us closer to the cures we need. For more information, please contact Ali Kean at (212) 365-7425 or events@nyscf.org.